Ladies and Gentlemen, it is an honour to give the 11th annual Chief of the Defence Staff lecture here at RUSI, and it is a very important opportunity for someone in my position to draw to a conclusion the year. A lot of people say to me congratulations on becoming Chief of the Defence Staff, but then a friend of mine said it should be commiserations, and I want to tell you I don’t feel that. When this series of lectures began, in 1999, General Guthrie gave the inaugural address. 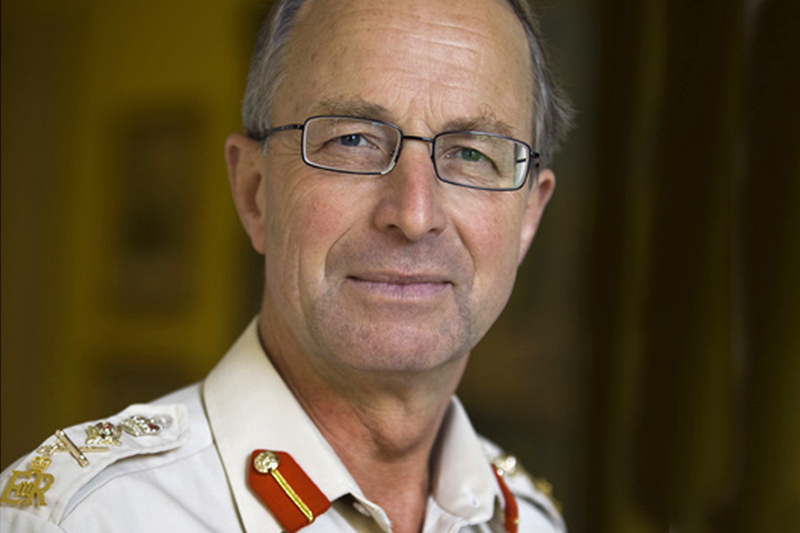 He had just led the armed forces through the 1998 strategic defence review. I don’t think he’s here, but if he was he would re-affirm how difficult the task of the Chief of the Defence Staff (CDS) is during a defence review and indeed, one might say, these days thereafter, but I’m learning that still. So I would like to start by paying tribute to my immediate predecessor, Sir Jock Stirrup. He brought huge experience and sagacity to the role through a difficult time for Britain; a time in which our armed forces were fighting on 2 fronts in Iraq and Afghanistan; a time in which the threat to our nation was, and continues to be, diverse, evolving and clearly unpredictable; and at a time when the country’s fiscal position has required significant belt-tightening across government, and rightly, in my view, including in defence. Jock said to me as he handed over, “you will realise that this job is quite different from any others,” and I thought, “I think I know what you mean”. Then Lord Guthrie said something similar, and I can tell you that they are right; it is a different job to any other. As difficult as the decisions in the SDSR have been, they have now been made and, as an amateur historian, I would agree that life can only be understood by looking backwards, so I do want to set out the thinking behind what we call the ‘adaptable posture’ we will assume as a result of the SDSR. But life can only be lived by moving forward. We have received, in military speak, as those servicemen here will know what we call ‘our commander’s intent’ in the form of the ‘national security strategy’ which, by the way, tends to be slightly obscured by the SDSR itself, which I think we would term in the military ‘our specific orders’. My task as CDS is to lead the armed forces through the changes required. I want to look at how we in the Ministry of Defence, as well as examining the SDSR and its aftermath, can contribute more widely to the development of defence and security strategy across Whitehall. But first, and I have just come back from Afghanistan and Pakistan, I would like to talk about the progress being made in Afghanistan, which is the absolute priority of the National Security Council, the Ministry of Defence and the armed forces, and will remain our priority over the coming years, and was an essential consideration in the SDSR. The Defence Secretary reiterated in Parliament last month that Afghanistan is our main effort. And as I have said in the past, our actions there are vital for the short and long term national security of our country. I was in Afghanistan 3 weeks ago, and again last week with the Prime Minister, and the change from when I commanded there in 2006 could not be more apparent. I took chai with local people in the heart of Nad ‘Ali district, overlooking a road busy with people and traffic. In 2006, that would have been unimaginable. The right force levels with the right equipment, across ISAF as a whole but particularly in Helmand, are now delivering what we knew then was the right strategy but seemed unattainable: a strategy that has seen General Petraeus achieve so much by focussing on the people and a political settlement. Asia Foundation polling reported earlier this month that this is beginning to pay off: 47% of the people think the country is heading in the right direction. That’s the highest percentage since polling began, 5 years ago. Of course, the significant uplift in troop numbers means an accelerated tempo of operations and we can expect the going to remain tough and more lives to be lost, including British lives. Because war is never without risk, and risk is intrinsic to military operations. Those of us in the military absolutely understand that; we sometimes have a struggle getting it across to others. It is recognised by every soldier, every sailor, every airman and every marine I lead. The public is right to honour their bravery and commitment, but supporting the servicemen and women means understanding their mission. Because the mission in Afghanistan, as our prime minister has made clear, is one of national security. The sacrifice being made is not being made in vain. It is absolutely in keeping with the proud heritage of the British armed forces. There is cause for cautious optimism, despite significant challenges. We are now operating from a position of increasing strength while the position of the insurgency has undoubtedly begun to deteriorate. In Pakistan, safe havens are being squeezed by Pakistani security forces. The insurgency is under unprecedented pressure and has lost significant ground in their southern heartland, including in the key population centres. We have been successfully targeting their bomb-making networks and their command structure. Their senior leadership is isolated, their training becoming deficient, and their supplies disrupted. The Afghan National Security Forces (ANSF) have grown by over a third this year, ahead of the agreed targets, and are increasingly effective and beginning to lead operations, which along with the political outreach is key to the plan for transition to home-grown security. As agreed at the NATO conference in Lisbon, and according to the wishes of the Afghan government, the ANSF will take the lead on security from the end of 2014. This is why, as the Prime Minister said, British troops will not be in combat roles by 2015. With India, Pakistan and Bangladesh, peoples with whom we have a history longer, and in some ways more fraught, than with Kabul, we now have enduring partnerships as equals. We trade, help train officials, exchange information and provide development assistance. We plan to do the same in Afghanistan: British trainers and mentors will stay in Afghanistan and their efforts will continue alongside those of aid workers and diplomats. These diplomatic, development and defence relationships underpin our partnership, and we look forward to deepening them over the years ahead. Afghanistan will, I am confident, contribute to the network of partners and allies that the UK has developed over the centuries. Continuing the progress being made in Afghanistan was a key determinant during the SDSR. For those who rather felt that it was inconvenient, the fact is we military people live in the real world, not in the make-believe world. We are in Afghanistan and we have got to make a success of it. I agree wholeheartedly with the Secretary of State that failing to win the war we currently fight would be a betrayal of the armed forces, the British people and our national security. But I also agree that configuring to fight that war, to the exclusion of all else, would have been a blindness to the other possible threats to that very national security. The decisions taken in the SDSR have rightly been on the basis on what I think is quite excellent analysis done in the ‘national security strategy’, which looks beyond the immediate 5 years at the range of risks the nation faces. the defence review flows from strategic thinking about Britain’s place in the world, about the threats we face and about how we can bring all of the government together to try to deal with that. Let me take issue with those who have said that this process was rushed and not strategy-led. First, I did not begin thinking about defence reform on the 12th of May, nor did you here at RUSI, nor did anyone in the Ministry of Defence; when Lord Hutton was there we were still thinking about it. We all knew a recalibration was necessary and coming. Every political party was on record in support of a post-election defence review. The department began planning this in some detail more than a year ago and brought it to an initial conclusion in October. For example the ‘National security strategy’, the ‘DCDC global strategic trends’ publications, the green paper and the ‘Future character of conflict’ study were all published under the last government and largely endorsed by the then official opposition. They created a base on which the National Security Council, new national security strategy, and the SDSR was built; very much based on the foreign policy of the government. So a lot of work has taken place over a considerable time. Today, there is no single all-encompassing threat which requires our total concentration to the exclusion of others, as there was during the Cold War. None of the threats we face, from terrorism to piracy, from regional instability to energy security, from climate change to cyber, none of these is at a definitive tipping point. So the clarity that some commentators claim is not evident in the facts. The government has not drawn the same strategic conclusion as some wanted, not because there is a lack of strategic direction but the reverse: to maintain our strategic freedom of manoeuvre. We could have reconfigured the capabilities of our armed forces towards the defence of Europe and our immediate environs, as some did argue for; but that choice was rejected. We could have reconfigured towards peacekeeping rather than warfighting. That choice was rejected. These options, and other scenarios, were rejected because they were not supported by the analysis underpinning the national security strategy as being in Britain’s long-term interests. The adaptable posture, which retains the ability of the UK to act at distance, independently where required, across all domains, providing the capacity for prevention, for deterrence, both conventional and nuclear, for coercion and intervention, is a rational extension of the national security strategy. Putting it into practice will create what we are calling Future Force 2020. It will be a formidable and powerful organisation; joint, and across each service. If we stayed as we were, we would not be successful in 2020 and beyond; I am absolutely convinced of it. We have turned the corner, and I would argue we have further to go in configuring for future warfare. If I were in the armed forces in 1930, I would have preferred to be fighting from an aircraft or a tank than from a horse. Those in the armed forces in 2020 and beyond will, I have absolutely no doubt, be grateful for our investment today in cyber operations, ISTAR and remote technology. It will be a similarly quantum leap. Typhoon, JSF, and an updated strategic-lift fleet for example for the RAF. Carrier strike, Astute, Type 45 destroyers and, soon after 2020, the Type 26 global combat ship for the Royal Navy. The army will retain the mass, equipment, and human skills that I believe will be so important for the future character of warfare. On top of this, the review of reserves will report next year and help to shape further the armed forces. Whilst concentrating upon the reserve, it will necessarily consider military manpower more broadly within the context of the whole force. The study’s objective is to produce a detailed concept and an outline implementation plan for a future reserve force structure. And this will be complemented by and integrated with the 21st century capabilities I mentioned earlier. My aim is for my successors not to face the challenges we face today with ageing capabilities across all 3 services that are difficult to maintain. But, and this is a top priority for us all in defence, they must also inherit the priceless advantage I have in leading the very high quality people who continue to be drawn to a life of service in the armed forces. Force 2020, to be what we aspire to, will absolutely depend on sustaining their commitment, resolve and high morale; and that of their families of whom we ask so much. So let me turn to implementation. The SDSR has undoubtedly meant taking difficult decisions. All 3 services and the civil service will lose manpower; and I am painfully aware of the understandable worry caused by the decisions we have made. I also know that decisions such as on Harrier and HMS Ark Royal, which have given exemplary service over many years, have evoked not only an understandable emotional response but controversy too. But the package as a whole makes sense in the situation we find ourselves: fighting a war in Afghanistan, in tight financial circumstances, and in order to meet the requirements of the national security strategy. The orders have now been given and, in military speak, we have crossed the line of departure. The Ark Royal has been paid off and the Harrier will tomorrow fly for the last time after coming off operations in 2009. We must now apply ourselves to making a reality of the vision for the future. Achieving this will not be plain sailing and much innovative and radical thinking will be required, including being prepared to shed outmoded or irrelevant attitudes and structures. First, the SDSR has provided our force structure, but much of the detail needs to be bottomed out, including how we organise the MOD around the new structure. Work streams are currently underway on everything from a coherent basing plan to the future structure of our reserves to bringing our people back from Germany. And of course the Defence Reform Unit’s review under Lord Levene will report by July next year. It would be wrong to disguise the pain in this process. The whole department is under review, and not one element of the armed forces is unaffected. This is about practices and mindset as much as equipment and structures, and it will be challenging for all of us, and its effects will be enduring. This will lead to difficult and politically charged decisions, and will undoubtedly have resource implications. Providing robust military advice, based on sound analysis, is the challenge which the chiefs and I intend very much to meet. Second, the SDSR has set us on a path to financial stability but it relies on a number of assumptions that must be met, including achieving the efficiencies required. This will not be easy, and we will face a yearly struggle to balance the books as we transition. What is clear is that we simply cannot continue as we have over the last ten years, where defence costs, particularly the cost of equipment programmes, have grown well outside predictions and outstripped planned resources. It is also the case that, as the Defence Secretary and Prime Minister have both said, achieving Future Force 2020 will require real-terms growth in the defence budget beyond 2015. Third, as with everything else in military operations, the enemy has a vote. That is why defence transformation is a process not an event. As Winston Churchill said: to improve is to change; to be perfect is to change often. The future is dynamic and, just as with the 1998 SDR, some of the assumptions we have made on the basis of the best and most rigorous analysis available will, I have no doubt, be shown to have been too optimistic or too pessimistic as time moves on. And so we must remain adaptable, and able to revise our assumptions in line with events. That is why the decision to have regular defence reviews, I think, is a powerful lever for transformation. This brings me to my final theme of the evening: revitalising strategic thought in Whitehall. The Public Administration Select Committee recently published a report on how strategy is made across Whitehall with specific reference to security and defence. The report has stimulated thinking across government but perhaps especially and rightly in defence. The development of what some people refer to as ‘Grand Strategy’ is problematic in the complex, multi-polar world Britain now faces. The national security strategy has begun the process of moving finally from the Cold War in which the containment of the Soviet Union was very much the clear and defining national security requirement, and was the basis upon which UK strategy was formed. But we should recognise that under that banner, particularly in the early parts of the Cold War, as Britain decoupled from Empire, we also sought to operate within the 3 concentric circles of influence proposed by Churchill: a Europe that would unite, a Commonwealth that would remain relevant, and a United States that would increasingly lead the free world. Some would argue that balancing these has retarded proper strategic thinking. And that UK strategy attempts to be all things to all people; without making a choice, particularly between the US and Europe. But there is an emerging consensus that the organising principle of states in the last half of the twentieth century is being replaced by a system more akin to the 19th Century, with multiple centres of gravity, the rise of powerful nation states and renewed regional and global competition. This more unpredictable world is of course complicated with 21st century technology, risk and complexity; including a mix of non-state actors. So we need to look several decades ahead or try to and decide what Britain’s place in the world is. If you like, redefining Churchill’s concentric circles for the 21st century to provide a new organising vision for Britain. The national security strategy is a starting point and an objective to pursue in terms of the ends that are required to serve the national interests. And the adaptable posture we have adopted in defence is about balancing the complexity set out in the NSS. But linking the ends to ways and means are where, in my view, there are weaknesses. We need to rediscover how better to turn thinking into effect. This is not just my view. It is shared by many across Whitehall, and discussions have already taken place with the Prime Minister, ministers and officials on how to address this. The Ministry of Defence and the military could have an important role to play in this process. The military has a vast amount of experience in turning thinking into action and strategy into effect. It has the ability to analyse, plan, and to implement, often under great pressure, in a coherent manner; bringing together multiple streams of capability into one whole effort. We can, in my view, employ the same skills to good effect in assisting the government as a whole to apply strategic thinking and planning in national security work. Sir Peter Ricketts, the National Security Adviser, is planning to draw together thinking across departments responsible for security and defence to scope out how this can be achieved. So it is my intention to help prepare the Ministry of Defence to contribute to this important process. We need to ensure that, in the Ministry of Defence itself, we maintain the skills underpinning the execution of strategy, such as planning, analysis and communication, and make sure our system of learning and education, from junior ranks and civil servants all the way to the top, continues to teach strategic thinking. As one example of this we have renamed OP COS, the Operational Chiefs of Staff weekly meeting. It was called this when it was set up because it was the way for the service chiefs and the CDS and VCDS to focus on the immediate operations of the day. I have renamed it the Chiefs of Staff Committee, the name employed for this grouping since 1923. The change may seem minor but it reflects my intention to raise the head of the department and reassert the aspect we have too often over looked: that of the strategic military headquarters. Individually the Single Service Chiefs and VCDS have areas of responsibility linked to their particular service or responsibility. Together, as a committee, they are a hugely experienced group of military strategic thinkers as well as being the heads of the military per se. Together with the very impressive staff that support them, they focus not just on today’s operations but wider afield and further ahead, and we can refine that more. As I have said before, but cannot repeat too often, what gives us our edge as armed forces, what sets our nation’s men and women apart is this, in many respects: our ability to plan, to think and to continually recruit and retain the best of each generation. Investing in high quality people in the armed forces and the Ministry of Defence is not just good for defence, but the skills they develop and the talents they bring provide the whole of government with a robust capability in service of the national interest. Ladies and gentlemen, I am acutely aware that I am all that stands between you and some well-deserved festive cheer, so let me conclude, by making a few remarks. I recently said that in my role of CDS I stand on the shoulders of giants. The first of which are the men and women of Britain’s armed forces, who I have the honour of leading. One need only read the citations published alongside the operational honours list to understand why the people of the United Kingdom are rightly proud of their armed forces. And second, but no less important, are the families of our serving personnel. They are the rock upon which our armed forces are built, and too often this is neglected. At this time of year in particular, with more than 15,000 people on operations and deployments around the world, not just Afghanistan, we should recognise their selfless commitment and thank them for their fortitude. And third, I stand here, of course, on the shoulders of my illustrious predecessors, who have led Britain’s armed forces through darkness and through light, and whom I am proud and humbled to follow. The armed forces have a challenging path ahead: to succeed in Afghanistan and on all other operations, to make a reality of the vision set out in the SDSR, and to act wherever necessary to keep the people of Britain safe. We will move forward with confidence. We will always do our duty. We will meet every challenge and we will prevail. That is the history of your, of Britain’s armed forces; and that too is our future.